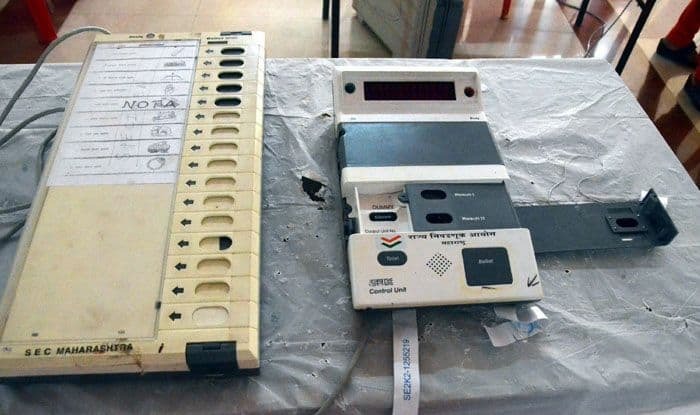 The stage is set for polling in five Lok Sabha seats in Assam on Thursday to decide the fate of 41 candidates in the fray. An electorate of 76,03,458, including 38,65,334 male, 37,37,970 female and 154 of the third gender will exercise their franchise in 9,574 polling stations in Tezpur, Kaliabor, Jorhat, Dibrugarh and Lakhimpur Lok Sabha constituencies. Tight security arrangements have been made across the five constituencies to ensure smooth conduct of polling, Assam Director General of Police Kuladhar Saikia said. Altogether 40 companies of para-military forces have been deployed in the first phase while the state police force is also engaged in ensuring free and fair polls. Patrolling along the border with neighbouring states, railway stations, river patrolling by river police and other sensitive areas have been intensified while strict monitoring of social media and cyber-related crimes was being done at the district level. Altogether 1,300 polling booths have been identified as critical and adequate security arrangements have been made to ensure free and fair polls, Chief Electoral Officer Mukesh Sahu said. Around 45,950 polling personnel have been deployed in the first phase and they have started moving out since Tuesday but most of them have left for their polling booths on Wednesday. Besides buses, the polling personnel are also using boats to reach inaccessible areas along the river banks though no animals are being used this time. The district election officers have also made special arrangements for people with disabilities and senior citizens, particularly those above the age of eighty, Sahu said. In the Dibrugarh constituency, eight candidates are in the fray but the battle of the ballot is between sitting BJP MP Rameshwar Teli and veteran Congress leader and former Union Minister Paban Singh Ghatowar. In the neighbouring Jorhat constituency, eight candidates are in fray and the contest is between state Power Minister Tapon Gogoi of the BJP and former Congress MLA Sushanta Borgohain. In Kaliabor, sitting Congress MP Gaurav Gogoi is pitted against AGP’s Moni Madhab Mahanta while in Tezpur constituency state Power Minister Pallab Lochan Das of the AGP is fighting it out against retired bureaucrat MGVK Bhanu of the Congress. There are two women candidates – Ribulya Gogoi of the Trinamool Congress and an Independent Nandita Gogoi, both are contesting from Jorha seat.